Using torch lights might be something you only think of using in the summer, but look how great they look against the snow flanked around a walkway leading to the front door. 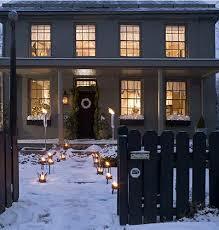 Your new home will appear so inviting to guests with this unexpected method of lighting during winter evening gatherings with friends and family. Most people consider the backyard to be off limit territory during the snowy winter months, but if you’ve got kids, they’ll be sure to get lots of use out of it. Why not consider a nook for the grownups to sip hot chocolate with the kids play? 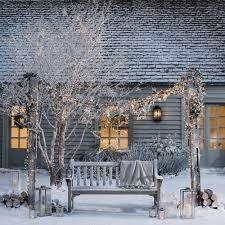 This year-round bench can become a little winter focal point for your new home with some carefully installed Christmas lighting in a very unexpected place. Outdoor lighting for things like garden urns have come a long way with new designs like this offering a modern twist on a holiday tradition. 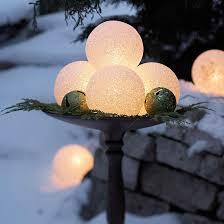 Lighting up your new home’s exterior with versatile globe lights look great year-round but especially amazing surrounded by snow. For those who love to accessorize their new home’s exterior during the warmer months, and don’t want to bring everything indoors come winter, why not leave it out there and just add a few final touches of winter? 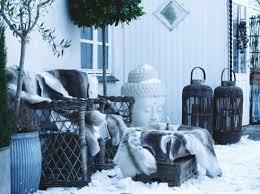 Pull everything together and turn your exterior sitting area in a winter cozy spot just by adding some luxurious winter elements like faux fur throws. 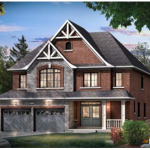 For more inspiring home decorating ideas for your new home’s exterior and interior, be sure to visit the Mosaik Homes Facebook Page!